Valentine’s Day is almost here, which means spring allergy season is not that far in the future. Now’s a good time to plan ahead and prepare for the arrival of pollen – before you feel miserable. Schedule a check-up with a board certified Allergist and refresh your allergy treatment plan. It’s like getting a tune-up for your body and preparing it to handle the way it responds to pollens and other allergic triggers at home and outside. 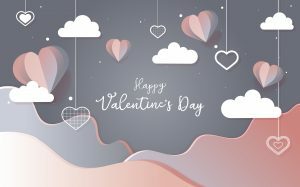 But back to Valentine’s Day… two of the most common expressions of love and romance given on this day are flowers and chocolates and other sweets. Both can be sources of irritation or adverse reactions for allergic individuals – and probably not the response you’re looking for! Flowers can bring on unpleasant allergic symptoms in someone sensitive to their scent or pollen. The good news is that there are several types of flowers have very low levels of pollen and minimal fragrance. Ask a florist to help make the best selection for your Valentine. Similarly, chocolates and baked goods often contain milk, nuts, eggs or other products that can seriously affect people who have allergies to any of those ingredients. Take care when choosing a sweet treat, or better yet, pick a non-food item to show your sentiments.